Many homeowners remain a little confused about the various garage door parts which contribute to their door openers not the least of which is the torsion spring. 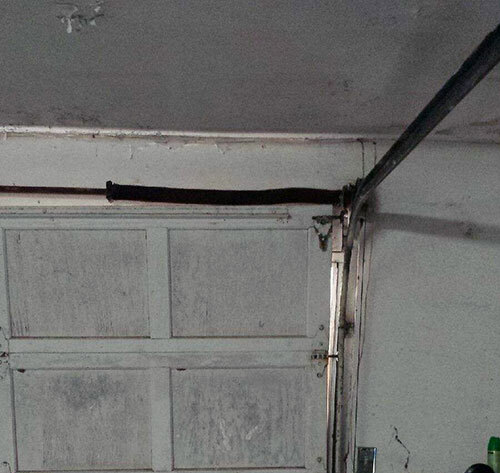 Garage door systems normally use two types of springs but it is the torsion spring which is used for balancing the door. This is a question frequently asked of Garage door repair Co Aliso Viejo. They say that the springs pose a danger because they are kept under tremendous strain. The springs lift the bulk of the weight of the garage doors which can sometimes be in excess of four hundred pounds. The spring is secured using a metal shaft which passes through the center of the springs. In the event of a spring failure, the door can become less stable and may close unexpectedly. How do I know if a spring is faulty? You may notice a spring looks pulled out of shape or stretched. This is the only physical indicator you may see of an impending problem. If your door is having difficulty opening and closing, or it bangs shut, you could already have a damaged or broken spring. Although these springs are designed to hold their structure and store tension for prolonged periods of time, they can wear out and need replacement. If your door has developed a problem opening, it may not be the result of a faulty spring. Check the garage door track hasn’t become bent or damaged and that the remote controls are functioning correctly. These are far more common causes of an issue. However, if these do not resolve the problem, you may require professional assistance. It is worth taking the time to familiarize yourself with the components of your system. This will allow you to establish a regular routine of maintenance and inspection which can help you to spot minor issues before they develop into major problems.